A beloved senior resident of ours, Alexandra Tylee, will deliver her dance workshop series, ‘Dance of the Elements’ starting from this Sunday 2nd February at Motupipi Hall in Takaka. This Dance of the Elements series invites participants to explore their bodies through dance from the grossest form of energy; the earth element, to the subtlest; ether. Utilising dance in this way, playing witness to the sensations that arise will open participants up to reconnect with the whole, and heal – aiming to provide a sense of return to the primal instinctual self whilst finding inner balance within all layers of being. In each workshop, participants will be given an opportunity to explore themselves through Yoga Asanas and free flow movement, with space to relax and ground, ending with a Yoga Nidra. Alexandra will guide us into finding connection through self expression with awareness to the corresponding chakra of the elemental theme each week. Sound, music and imagery will be used throughout the class to enhance the experience, relating to each week’s element. Prepare to awaken to your full potential, and open to your truth. Alexandra was born in New Zealand. With a passion for dance, she’s trained as a dancer since the age of 14 and has travelled Australasia and Europe partaking in tours and shows showcasing her talents on the stage. 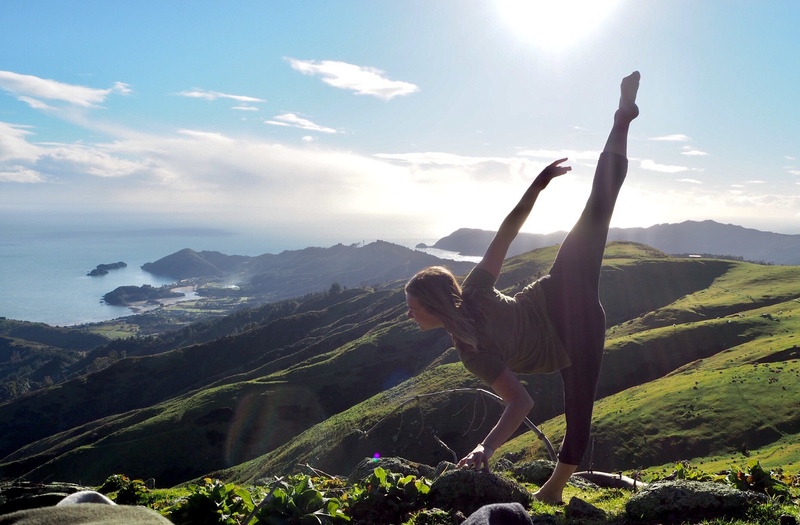 Her interests soon developed in Yoga, as her travels took her to India where she attained her 500hr TTC before arriving here at Anahata to bring the benefits of Yoga to travelers and Kiwis alike at our Yoga Retreat Centre in Takaka. It was here where she birthed her brain child workshop, Dance of the Elements. In her 6 week break from Anahata, she took her workshop baby to Amsterdam to give it legs, before bringing it back to the shores of Golden Bay.